The in line poly-ball rig works well in most situations where you need to present a bait (usually live) close to the bottom. It is an excellent rig for keeping baits moving and works especially well with smaller baits of perhaps 2-10oz. Small carp, tench, and gudgeon are especially good with this rig as they have a tendency to try and swim to the bottom against the buoyancy of the poly-ball . Fish this rig straight off a running lead. Although this rig can be very effective in stillwater venues, the inline poly-ball rig lends itself more to running water and is a firm favourite on the large rivers when presenting live baits, worms or even whole squid for example. It casts well and if constructed properly rarely tangles which is important when potentially leaving baits in position for long periods of time. To construct the rig simply slide on the required quantity of poly-balls. This will be determined by size of bait, depth of water and speed of flow. On the continent anglers use specially constructed “floats” that are cigar shaped and incorporate small rig rattles for added attraction. There is nothing stopping you using rig rattle either fixed to the line, glued to your poly-balls or pushed inside a poly-ball depending on the type of rattle you intend to use. The poly-balls can be locked into place in one of two ways. 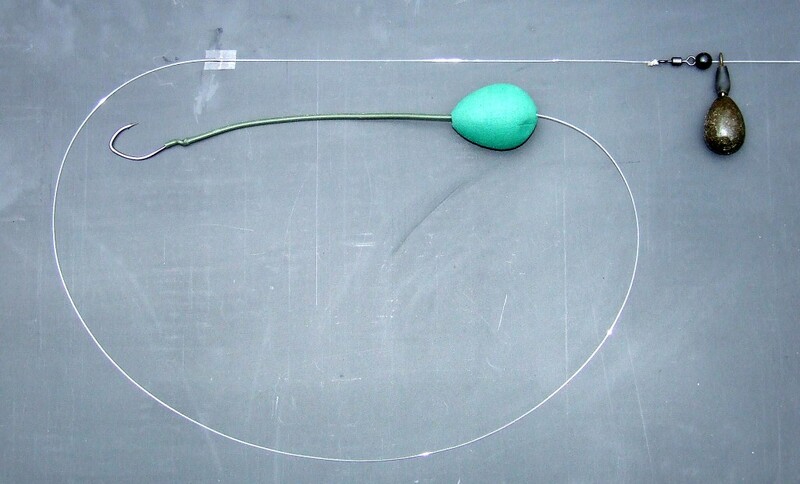 You can slide the balls over a length of silicone tubing which in turn is slid over the eye of your chosen hook. This method offers additional protection to the leader. The other method is to simply use rubber float stops either side of the poly-balls to lock them into position. 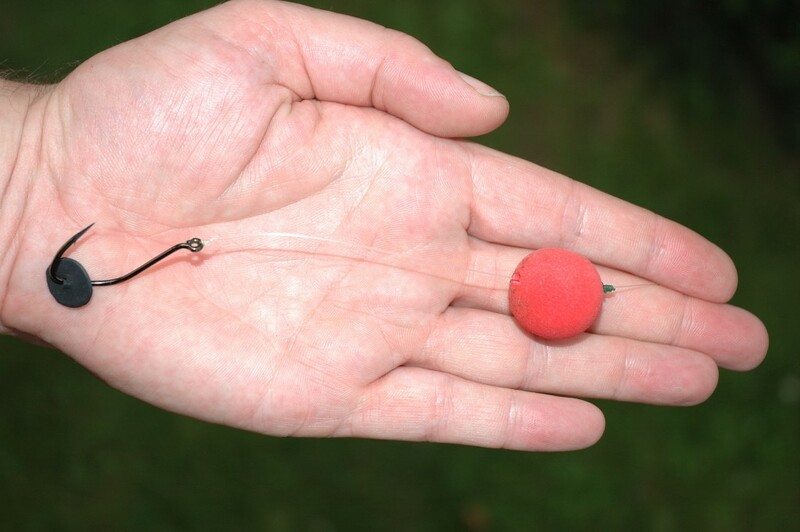 This method has the added benefit of being able to easily vary the length of leader between hook and poly-balls as conditions and bait size dictate. Hook links should be stiff mono from 50lb upwards and around 12-18 inch in length although longer can be used at times, its important the hook link kicks the bait away from the lead and ensures everything remains in-line. The rig is completed with a swivel, large rubber bead and a weak leger link constructed of 10lb mono attached to a euro size run ring and 4-6oz lead in the UK and 6-12oz lead if used abroad. On the continent in extreme river conditions the use of a rock is sometimes used to anchor the rig in place instead of a lead weight. Light rope/heavy string or even elastic bands are used to create an anchor point around the rock, a break line of 10-12lb mono is attached to the anchor point and tied directly to the swivel that connects your hook link and mainline. The idea being this will break when you get a take and leave you in direct contact with the fish, almost bolt rig style. When you need to change baits you simply “strike” the rig free of the rock. This version of the rig obviously has to be deployed with the use of a small boat and can’t be cast !